Recent years have witnessed dramatic changes in the aerospace industry. Companies that once were significant competitors are now partners: Lockheed and Martin Marietta, Boeing and McDonnell Douglas, Raytheon and Hughes. Others that once were major players either no longer exist, are significantly smaller or are owned by someone else. They include E-Systems, Loral, Texas Instruments, Grumman and Northrop. These changes resulted for a number of reasons: the end of the Cold War, shrinking government budgets and more competitive foreign companies. Regardless of these changes, quality issues have remained a top priority for the industry. What has changed, however, is that customers, both government and commercial, no longer are willing to pay a premium to ensure the quality of purchased goods and services. AS9000 represents the first momentous attempt to unify the requirements of NASA, DoD and FAA while satisfying the business needs of the aerospace industry. For more information about AS9000, contact the Society of Automotive Engineers at 400 Commonwealth Drive, Warrendale, PA 15096; telephone (412) 776-4970; fax (412) 772-1851. Ask for the document, "Aerospace Basic Quality System Standard," order No. AS9000. An appendix, order No. AS9000-APNDX1, is of particular interest to registrars. The document and appendix cost $25 each. The SAE maintains a Web site at www.sae.com. By far the largest impact on aerospace quality standards occurred when the Department of Defense canceled MIL-Q-9858A and MIL-I-45208A. These standards, which for years represented the basic tenets of the industry, were discontinued in favor of more current and universal standards. This simplifying move toward accepted commercial standards seemed appropriate and cost-effective. About this time, ISO 9000 was becoming the most widely accepted commercial quality standard. Not restricted to a single product line or application, ISO 9000 nevertheless addresses the necessary elements of a viable quality system while satisfying the aerospace industry's simplification requirement. No longer tied to the older quality standards, large aerospace companies started requiring their suppliers to develop quality programs based on ISO 9000. However, these suppliers soon found that ISO 9000 couldn't sufficiently address the unique requirements from all their aerospace customers -- DoD, NASA, FAA and commercial. To address these shortcomings, aerospace companies began to establish their own unique quality standards. A proliferation of quality requirements ensued as each company attempted to address the aerospace limitations of ISO 9000 independently. The multitude of requirements facing each supplier resulted in even more fragmentation and higher costs than before. To address this issue, Boeing, McDonnell Douglas, Lockheed Martin, Northrop Grumman, GE Aircraft Engines, Pratt & Whitney and others formed a steering committee to develop an aerospace interpretation of the ISO 9000 standard. After more than two years of intensive effort, the industry released AS9000, a consensus standard that addresses aerospace needs, its major and minor manufacturing customers, service suppliers and regulatory bodies. In October 1996, the Society of Automotive Engineers issued the draft standard ARD9000, a compilation of several preliminary drafts and reviews by industry experts. The SAE controls the release of most aerospace standards and is closely affiliated with the aerospace industry. Other government regulatory agencies most directly involved in the industry -- FAA, DoD and NASA -- were kept informed and allowed to review draft editions throughout the development process. The ARD9000 draft enabled the industry to review the document thoroughly. Renamed AS9000, it was officially released by SAE in May 1997. Since its release, the Aerospace Basic Quality System Standard has received widespread and enthusiastic support throughout the industry. Boeing has taken steps to institute the AS9000 standard as the model for its own quality program. In a recent national agreement with registrar NQA USA, Boeing openly requires expertise in AS9000 from its suppliers. GE Aircraft Engines and AlliedSignal also have begun to specify AS9000 as a requirement. The FAA's Aircraft Certification Division, while stopping short of directly endorsing AS9000, did recognize that it "should also meet the FAA's expectations for a manufacturing quality control system." AS9000's development and release represents the first momentous attempt to unify the requirements of NASA, DoD and FAA while satisfying the aerospace industry's business needs. Should this effort continue, significant cost savings likely will result. Unlike the automotive industry's QS-9000, which added company-specific requirements to ISO 9001, AS9000 will free aerospace companies from developing separate quality systems for each individual client. Justification for this approach appears in the scope statement of the document itself: "Standardization of compliance requirements results in cost savings due to the elimination or reduction of unique requirements developed for each different customer." In short, AS9000 clarifies ISO 9000. The AS9000 document maintains the same layout as the ISO 9000 standard and, in fact, is identical to the parent document in most respects. All 20 elements of ISO 9000 are represented in AS9000 with identical language. However, inspection of the AS9000 document reveals, in boldface print where appropriate, industry-specific interpretations and methodologies for each element. These additions represent requirements expected by FAA, DoD and NASA; accepted aerospace approaches to certain quality practices; and accepted aerospace interpretations of ISO 9000's general requirements. For example, paragraph 4.2.3b. in ISO 9001, which reads: "� the identification and acquisition of any controls, processes, equipment (including inspection and test equipment), fixtures, resources and skills that may be needed to achieve the required quality �" is modified in AS9000 by the addition of subparagraph 1: "� the design, manufacture and use of tooling so that variable measurements can be taken, particularly for key characteristics." This addition, reflecting the FAA Code of Federal Regulations 14, Part 21, addresses a common practice in the aerospace industry and introduces a common industry concept of "key characteristics." Readers will find similar examples throughout the AS9000 standard. Paragraph 4.9j. discusses the control of foreign objects, a common aerospace concern; paragraph 4.9.1 addresses control of process specifications; and paragraph 4.9.2 concerns itself with tooling regulation. 4.2.3f. (1) -- Identification of in-process verification points. 4.4.9.1 -- Design control system shall provide for customer and/or regulatory agency approval of changes, when required. 4.6.2d. -- Subcontractors shall use customer-approved special processes sources. 4.9.2 -- The supplier's system shall maintain and control production tooling to ensure that the product meets design requirements. 4.10.2.4 -- When certification test reports are used as a means of product acceptance, procedures shall document the types and frequencies of analyses to validate certifications. 4.12.1 -- When acceptance authority media are used (e.g., stamps, electronic passwords), the supplier's system shall establish and document controls for the media. 4.13.2.3 -- Scrap shall be conspicuously and permanently marked until physically rendered unsuitable for use. 4.16.1 -- Records shall be readily available for review by the customer or regulatory agencies. 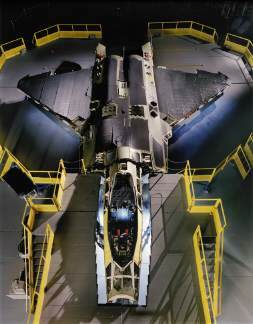 The examples listed above show that the additions represent accepted aerospace practices rather than truly new requirements. To date, the major aerospace companies have not required third-party registration, unlike the automotive industry's Big Three with the QS-9000 requirements. In addition, neither the Registrar Accreditation Board nor any other accrediting body have taken active roles in developing and approving AS9000. This has left a significant void, the norm with any new standard. Many people fear over-regulation or a proliferation of regulatory documentation, which encumbered the aerospace industry during its military standards days. On the other hand, many believe that someone should regulate the industry to a specific set of requirements. At this point, it would appear that AS9000 offers excellent guidance for applying ISO 9000 principles to the aerospace industry. Because AS9000 was prepared by the aerospace industry specifically for the aerospace industry, it is imperative that the standard receive support from the very industry that developed it. Companies or agencies, including registrars of quality systems doing business in this market, need to familiarize themselves with the AS9000 standard. GE Aircraft Engines and AlliedSignal have specified AS9000 to subcontractors; Boeing has applied the stand-ard as guidance to its own quality programs, and it would be natural to assume that the company will pass it on to its subcontractors. Sources at Lockheed Martin, NASA and Defense Contract Management Command have expressed significant interest in the standard. Many quality system registrars have taken a wait-and-see approach before training their assessors to the standard or accepting it as a viable tool for implementing quality requirements. Other registrars, particularly those who regularly do business in the aerospace industry, have taken a proactive approach and incorporated the standard into their methodology. What the future holds for this new standard is not entirely clear. Several large aerospace companies -- GE Aircraft Engines and Boeing among them -- are considering imposing this standard on their subcontractors, but presently AS9000 is not required at all levels of the industry. AS9000 training classes have appeared -- a sure sign of acceptance -- but a program to regulate aerospace assessors awaits development. So far, there are no signs that accreditation bodies will take an active role in regulating the AS9000 certification process. Of course, the control mechanisms already in place for ISO 9000 are still in effect for the aerospace industry. The FAA reports that the AS9000 standard represents a comprehensive program that contains all the necessary elements of a basic quality system. At the same time, neither the DoD nor NASA have expressed opinions concerning the standard. Regardless of the reports or present acceptance, the AS9000 standard represents a valuable and important source for developing a quality program for the aerospace industry. ISO 9000 has proved an excellent standard, and its simplicity truly is a work of art. AS9000 builds on this standard, adding meaningful insight and addressing the distinctive needs of the aerospace industry. Lee C. Bravener has more than 20 years of direct quality assurance experience. Prior to joining National Quality Assurance USA in 1993, he helped develop and implement quality systems to comply with ISO 9000, MIL-Q-9858A, MIL-STD-1520, NHB 5300, JSC 31000, MIL-STD-2167 and MIL-STD-2168. At NQA USA, Bravener has served as lead auditor on numerous ISO 9000 and AS9000 assessments for a variety of industries. He has recently been promoted to vice president of NQA USA. A leading registrar of aerospace companies, NQA USA has established a structured, self-regulated program to address the AS9000 standard and includes NASA among its customers. Copyright 1997 QCI International. All rights reserved. Quality Digest can be reached by phone at (530) 893-4095.